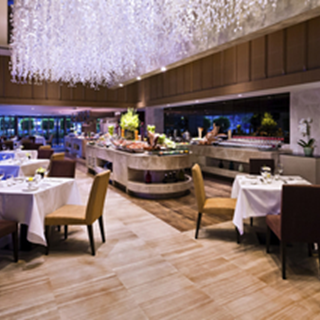 World Restaurant One Ratchada presents food of the world. 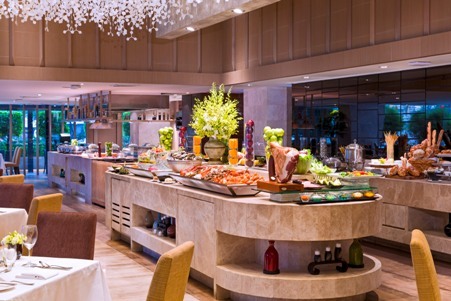 Breakfast sees a selection of Eastern and Western dishes in an expansive buffet setting. 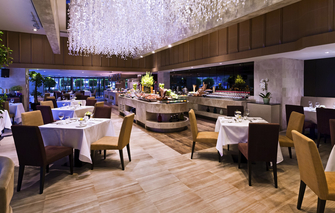 Our lunch and dinner offerings are also international in style featuring a selection of Thai favorites as well as large Asian and European specialties. In addition, our extensive a la carte menu includes regional Thai cuisines, Asian delights and western staples, all cooked fresh to order. It's the perfect dining option for larger groups or just for sampling tastes of the world. The entire experience was a disaster. When my party arrived and identified my name, the receptionist did not even bother to look up the reservation list and asked me to show the "proof" of reservation. I again repeated my last name and asked her to look up the list but she insisted I need to show the proof. It took me a while to open my email account to find a reservation confirmation. She did not even check my name closely and said loudly to her colleague, "it is TABLE PLUS!" She never said anything like "welcome to the restaurant" but she said loudly, "I want to remind you that today we have a special price which is 1,190 Baht per per person." Then another lady walked us to the restaurant and gave us a table adjacent to the entrance. I asked if there was another table by the window, and she said "those tables are people with early reservation." I said I also had made the reservation early. Eventually a server stepped in and guided us to another table. During the entire evening, I noticed that about half of the tables were not occupied but I did not understand why the receptionist made a fuss. The real problem also started with service. The service attendant never came to clear our plates. I ordered a bottle of red wine and it took long to have it delivered. She opened the bottle and started serving it without giving me a chance to taste it. She never came back to serve the wine. She simply placed the bottle in the middle of  the table, suggesting that we needed to serve the wine by ourselves. The food was mediocre at the most. The hot food was not hot because the food (e.g. lamb chops, pork, pizza) was not placed on top of the warmer. Overall the experience was such a disaster. I will NEVER recommend the restaurant to anyone. Staff incompetent. Food selection and quality poor. Was very glad I didn’t pay myself for it. Overall, a very enjoyable (and memorable) experience. The variety and quality food for the occasion, was truly outstanding !! The place is a bit crowded but the food quality is worth for money.